With more than 100 years of combined professional experience in CG art, animation and VFX the six members of ShareCG’s CG Evaluation Board judge Challenges and award Stars to ShareCG member’s work they feel meets studio quality standards. 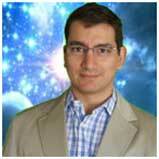 Andres Martinez is an entrepreneur and Board member of the Visual Effects Society. Andres is currently managing a very talented team of VFX artists and supervising commercial, feature and indie projects. He also collaborates with other studios to deliver VFX projects under tight deadlines while maintaining top quality standards. Andres has years of experience in set supervision, Photography, Mattepainting, Hard surface modeling, Lighting and Compositing, and has hands-on experience in planning, creating, rendering and compositing photorealistic environments. His work has been featured in more than thirty films including Mission Impossible II, Superman 3, The Matrix Revolutions, and Matrix Reloaded among other block busters. Learn more about Ethan by visiting his LinkedIn profile. Carlos Koch is an entrepreneur with more than 15 years of animation, VFX, multimedia content creation and video gaming experience. He founded Technotrend and Meebox primarily focused on hardware solutions for the media and entertainment industries. 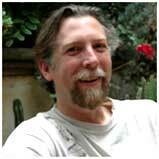 Ethan Summersis an Emmy award winning artist with over twenty years experience in Visual Effects and with an equal amount of time working in the fine arts.With expertise in many facets of production, he has worked in feature film, television and scientific visualization with specialties in Digital Environment Creation, Art Direction and Workflow Development. Ethan maintains an independent studio in Guanajuato, Mexico and has a collaborative partnership with xRez studios in Los Angeles, California. He has worked with many clients including Pixomondo, Stargate Studios, Prime Focus Films, Sony, NASA, Sundance Films, Shilo, Mattel, Microsoft, Electronic Arts, Hewlett Packard, Disney, Viacom Interactive, Hasbro, Coca Cola and IBM. He has international work experience in Mexico, Singapore, Japan and the USA and has been published in many industry periodicals. When time allows he likes to create sculpted art cars and work in abstract painting and photography. He is also trying ot learn to ride the unicycle which he has not quite have mastered yet. 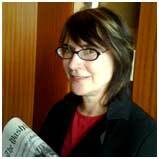 Kathleen Maher is Senior Analyst at Jon Peddie Research (JPR), a market research company. She has authored reports for JPR including the Digital Content Creation report, CAD 2012.Ms. 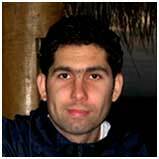 Maher has experience in digital content creation. Ms. Maher has also held editorial positions in the high tech field including Editor in Chief of Cadence, an AutoCAD magazine, and Consulting Editor for startups 3D Design Magazine and Interactivity. She is a contributing editor for Computer Graphics World. Currently, she is updating reports for the CAD and DCC industries. Rodney Costa – Visual Effects is at the core of Rodney’s career, and today he is a proud and honored member of the VFX Society.In January 2009 Rodney founded and worked as CEO of Virtue Vfx in Guadalajara, Mexico providing visual Fx, Color grading and Stereoscopic solutions. During its first year of operations Virtue Vfx did more than ten TV commercials and provided finishing and color grading services for three feature films. Rodney’s experience is not limited to VFX work. In the past he created Netmogi ISP. Netmogi ISP grew to serve more than 17,000 clients using dialup and wireless connections before being sold to Com.Domínio backed by investors J.B Morgan and Votorantin. Rodney also worked as Executive Art and Production Director guiding more than 65 professionals doing dvd production, live TV shows and video clips for International broadcast television companies Novo Tempo and Nuevo Tiempo International. To learn more about Rodney and his accomplishments, please visit his website and his LinkedIn profile. Sebastiano D’Aprile is an Italian CG artist based in Los Angeles, California. He started his professional career in Italy, while still studying multimedia and arts at the University of Turin, working for clients in the automotive industry including Maserati and Fiat Abarth. He moved to sunny LA after being awarded a prestigious scholarship, which supported further education at the Gnomon School of Visual Effects. 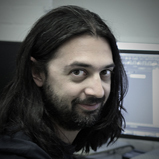 Sebastiano now works as VFX Supervisor, CG Generalist and Character TD for films and commercials. See Sebastiano’s full resume here. This entry was posted on Sunday, July 14th, 2013 at 11:07 am. You can follow any responses to this entry through the RSS 2.0 feed. You can leave a response, or trackback from your own site.